Window Town was formed with one idea in mind. If you treat your customers with respect, give them value, great service and a fantastic product, they will not only come back for more, they will bring all of their friends and family. We want you to experience the The Window Town Difference®! 1)	Respect – we will never put on a high pressure sale. We will provide you with an On-The-Spot-Quote and you can make your decision anytime. 4)	Great Service – We provide lifetime warranty and will stand behind our products and our customers 100%. Never pay a trip charge or service fee for anything covered under our warranty! 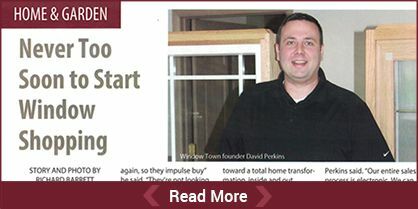 Call us at 315-818-1500 or complete the free in-home estimate request and we will show you the Window Town Difference®!